بني في 2008, Tower Junction Motor Lodge هو ميزة مُضافة لـ كرايستشرش و خيار ذكي للمسافرين. يقع الفندق على بعد 1.0 km من مركز المدينة، ويؤمن الوصول إلى أهم مراكز المدينة. إن سهولة الوصول من الفندق إلى المعالم السياحية الشهيرة الكثيرة في المدينة كمثل Addington Raceway, AMI Stadium Christchurch, Westfield Riccarton هو استثنائي بحد ذاته. إن الخدمات الممتازة وحسن الضيافة العالي في Tower Junction Motor Lodge تجعل إقامتك تجربة لا تنسى. يمكن للنزلاء الاستمتاع بالميزات التالية: واي فاي مجاني في جميع الغرف, مجهز لذوي الإحتياجات الخاصة, مرافق مخصصة لذوي الاحتياجات الخاصة, تخزين الأمتعة, واي فاي في المناطق العامة أثناء إقامتهم في هذا المكان الرائع. يمكن للنزلاء الاختيار من ضمن مجموعة من الغرف المصممة بعناية لتعكس جواً من الراحة، والتي يتجاوز عددها 16. كما أن مجموعة الخدمات الواسعة الموجودة في الفندق لضمان راحتك تترك لك الكثير من الخيارات لقضاء وقتك أثناء فترة إقامتك. مهما كانت دواعي سفرك فإن Tower Junction Motor Lodge هو خيار ممتاز لإقامتك في كرايستشرش. يرجى إبلاغ الفندق بموعد وصولك عند الحجز. The room was sparkling clean and had a full kitchen. Good access to public transportation and a free shuttle to the train. Staff is friendly and helpful, the location is so close to train station. You can also walk to the garden by 15 mins. 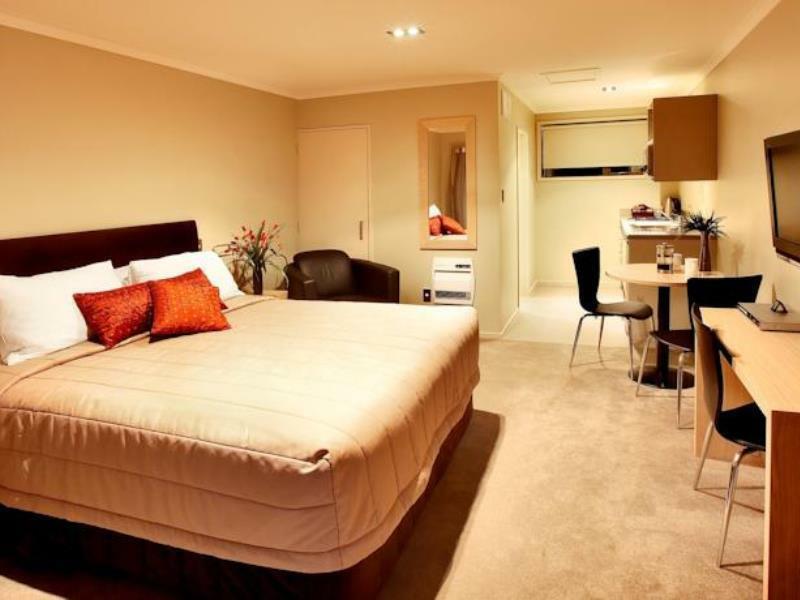 The room was very clean with facilities in good condition, a bit pricy comparing to the other cities, but a good choice in Christchurch. I booked for 2 nights for 2 bedroom. I checked the price on my phone for 4 people but i booked the room using computer for the same price. Im surprised that i need to pay extra $20 per person which i payed total extra $80. I booked the room using agoda app and there is nothing stated that i need to pay this extra. The man i spoke to said that it is stated on their website that i need to pay that extra. But then again i book it thru agoda and there is nothing in there. This is not agoda's fault. This is the tower lodge managements fault because they need to check and state everything in agoda. I booked hotels and accomodation almost every month and this is the first time happend that i need to pay extra. The room was good and the man i spoke to was very nice and accomodating. Im just not happy for paying extra $80 on top of my $314.46 this is to much. The room was cozy and complete with all the essentials we need. Good location too; a few minutes walk to Westfield and eateries. The host was very hospitable and she drove us to the train station the next morning. Highly recommended! 10-15 minute walk to the train station.... well built and maintained property on divided busy street. Specifically booked this hotel because of its proximity to the train station from which the Tranzalpine starts. Clean, comfortable and surprisingly quiet considering it's next to a main road. We were in a king studio which was well appointed with gas stove, microwave and 'fridge/freezer. The lady in the office was very helpful. Overall it was excellent for what we wanted. Thanks David for taking the time to write such a positive review. I am glad you enjoyed your stay with us and it was a pleasure to have you stay. We stayed here for the last two nights we were in New Zealand and we were really quite exhausted after 2 weeks of travelling around. This was the perfect spot to really have a break back in civilization before another long flight back to Malaysia. Close to the train station,but a bit far from the restaurants/supermarkets. We stayed at tower junction motor lodge on our return to christchurch, having stayed 10 days earlier when we were heading off on the tranz alpine. It is a perfect location for that and garry dropped us to the station. We were planning to stay closer to the city on our return but couldn't find a property to compare for value or quality so chose this one again. It is only a short bus ride or car trip to the city anyway and suited our need for a good nights sleep. Phyllis and garry operate this property in a friendly and helpful manner. We were upgraded to a larger room which was also great. I would recommend staying at this property. The sevice from the Motel was excellent. We asked where was the best place for dinner,The proprietor was on her way to the airport to pick someone up and offered to take us to the resturaunt. Next morning at 7.30 she took us to the railway station which is approx 800 metres away from the motel. Only once in Britian at a B&B did a proprietor take us anywere in their own vehicle. Thanks for taking the time to write us a good review. It was a pleasure to have you to stay and I was happy to take you where you needed to go. I hope you enjoyed your trip on the train. If doing the TranzAlpine train trip to Greymouth a great place to stay. Clean and tidy with nice décor and comfortable beds. Hosts friendly and it was no problem to drop us at the train station in the morning. Highly recommend. Thanks Leanne for taking the time to write us a review. It was a pleasure to have you to stay and I am happy that you enjoyed our facilities. 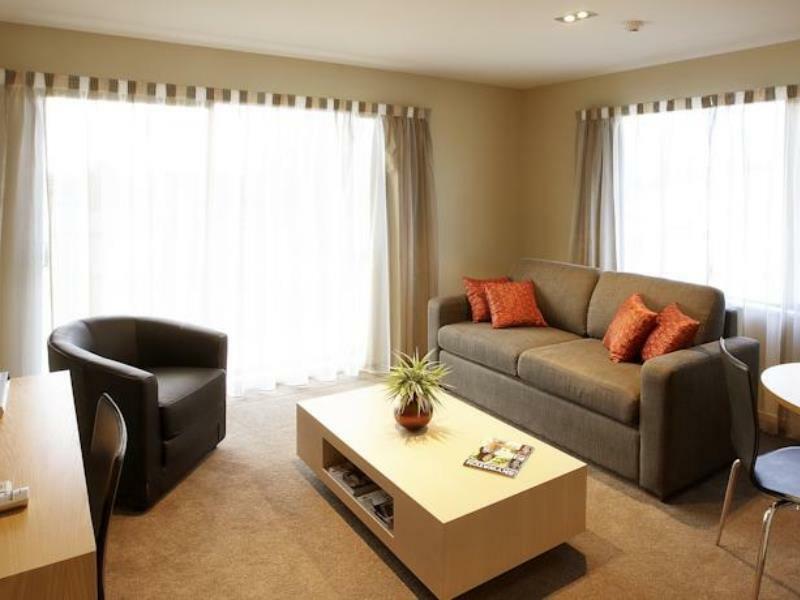 Modern rooms, off street parking, comfortable bed, heater in bathroom (a plus - it was wet in Christchurch). Convenient to the train station to catch the Tranzalpine and the wonderful staff gave us a lift to the station (let them know at check-in why you are there). 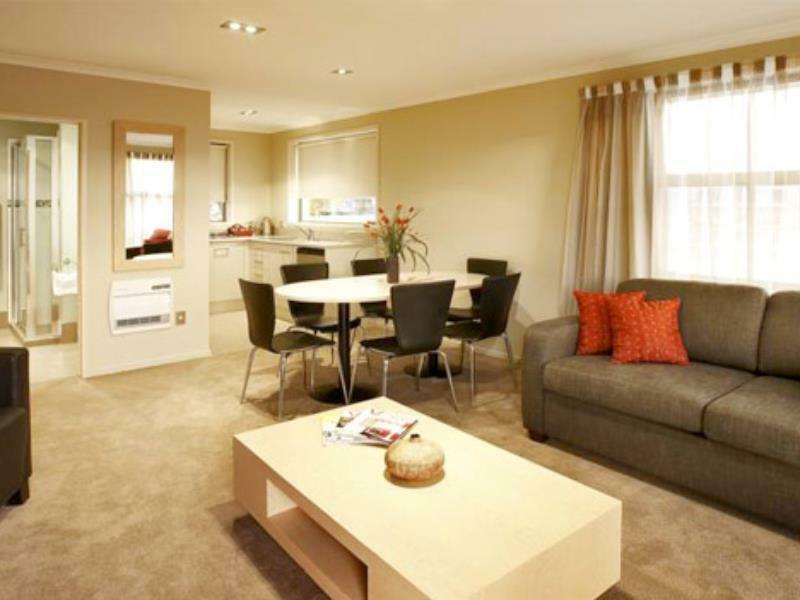 Also easy walk to major shopping centre and restaurants. Near train station, mall and supermarket. Walk further will reach the Saturday Farmer's Market and Botanic Garden. reasonable fees for use of laundry facilities. Staff very helpful, explain to use while check in and sent us to train station. We spent four nights and it was perfect for our needs. It was a back room, away from traffic noise, patio with a grassy area. The lodge was close to train station and grocery shopping. I rated a 5 for food/dining because of the kitchenette. They do not have a restaurant. 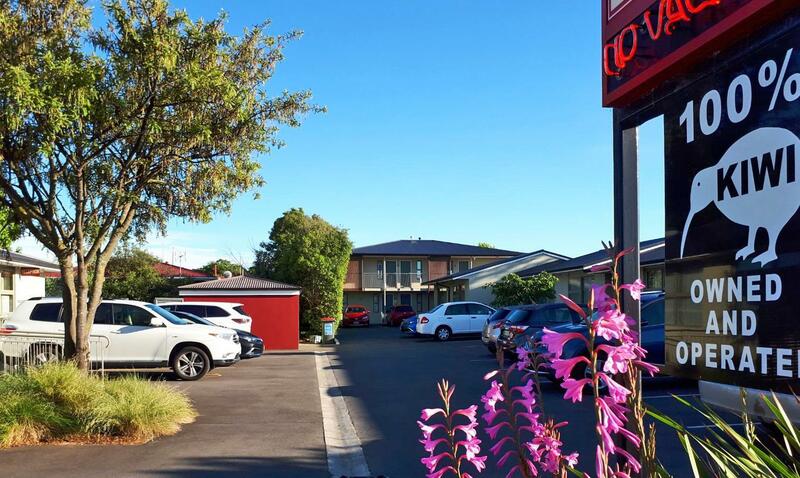 stay was good ,restful but not spacious ,car rental airport all nearby.westfield mall walking distance,also robies pub, good pub food .Madam kwong chinese restaurant walking distance xcellent cuisine. 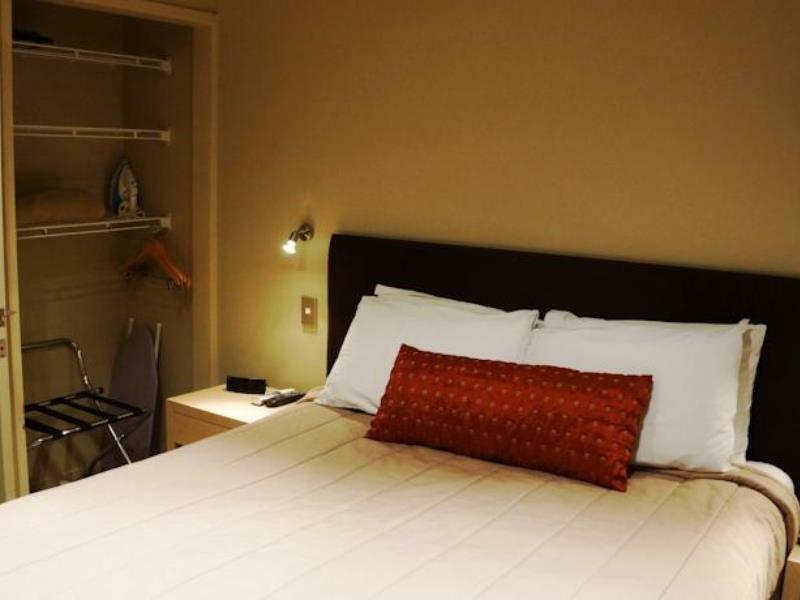 The room is very spacious and clean (the level of cleanies is higher than the average one in CC). 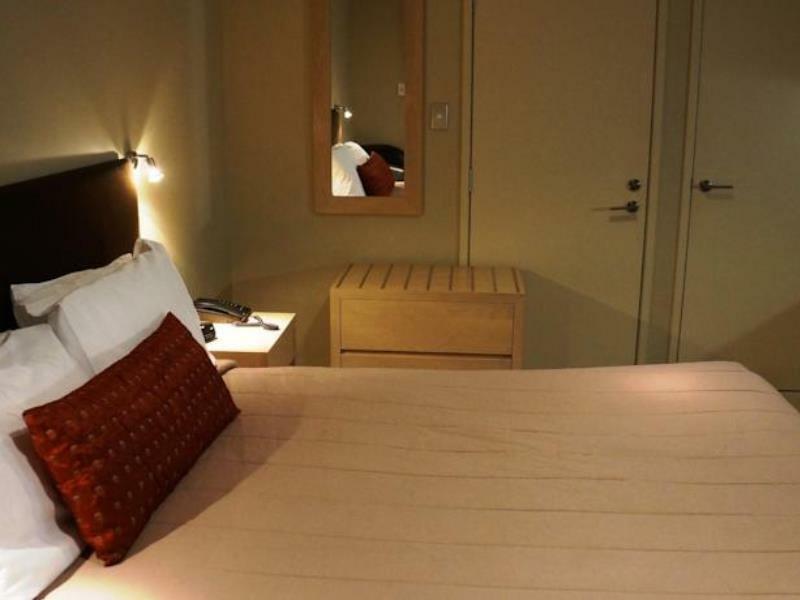 The motel is conveniently located near a shopping area with a large supermarket and various type of restaurant. One more added value to us is the operators are Chinese so that we can speak mother tongue making us feel like staying at home. This will be our motel next time when we visit CC.